8 GB iPod Touch MD057LL/A The world? s most popular portable gaming device is now even more fun. Listen to your favorite albums. 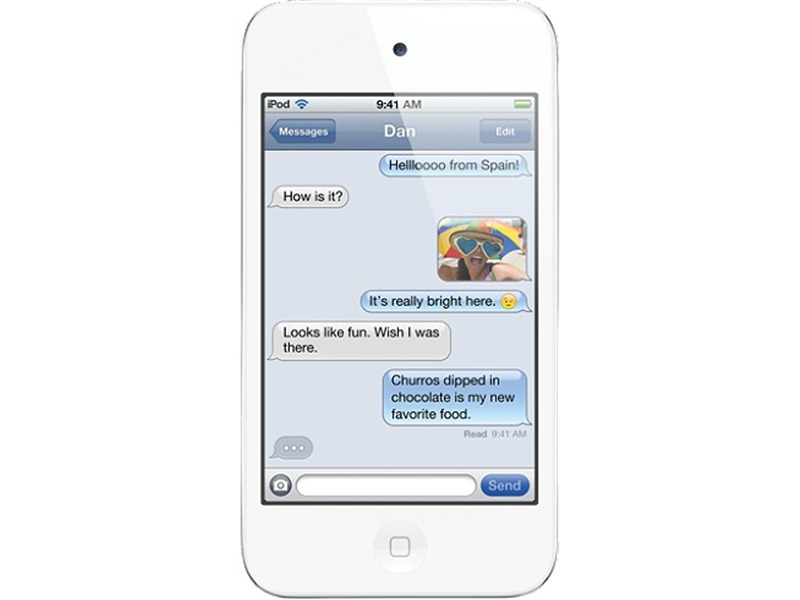 Send text messages over Wi-Fi with iMessage. Record HD video. Make FaceTime calls. iPod touch even works with iCloud, which stores your content and pushes it to all your devices.